Collecting and playing with Roly Poly bugs (or Pill Bugs, as we used to call them) is a childhood coming-of-age tradition. Some of us pass through quickly — briefly amused by the little critters who turn into tight balls… but for others (like my daughter), these little guys can turn into quite the obsession. 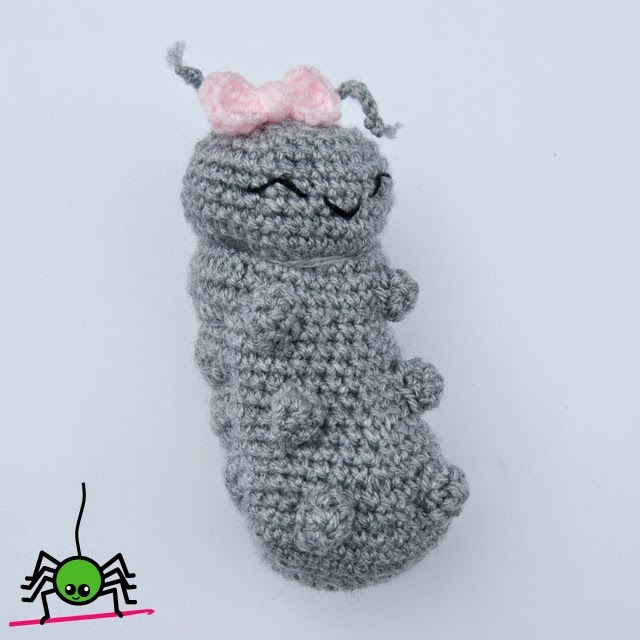 I designed Rosie to give my daughter a huggable version of her new favorite backyard isopod crustacean and hope your little ones enjoy this pattern as much as my Little Miss does!